This is Wayback Wednesday, your midweek blast from the past! In this feature, we dig into the archives, look back at the history of basketball gaming, and indulge in some nostalgia. Check in every Wednesday for retrospectives and other features on older versions of NBA Live, NBA 2K, and old school basketball video games in general. You’ll also find old NLSC editorials re-published with added commentary, and other flashback content. 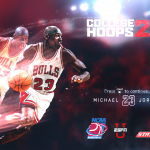 This week, I’m taking a look back at the All-Time College DLC for NBA 2K17. 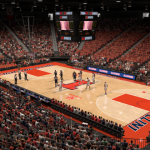 Downloadable content hasn’t been too common for basketball video games over the years. 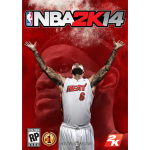 Compared to RPGs with their expansion packs and fighting games with their myriad of DLC characters, NBA Live and NBA 2K have generally stuck with the “recurrent revenue” model to earn additional income from their annual releases. There has been some DLC for hoops titles though, from the free Oklahoma City logo update for NBA Live 09 to NBA 2K12’s Legends Showcase that cost $10 (or 800 Microsoft Points).